Product contains milk and almonds. Produced in a facility that also processes wheat. 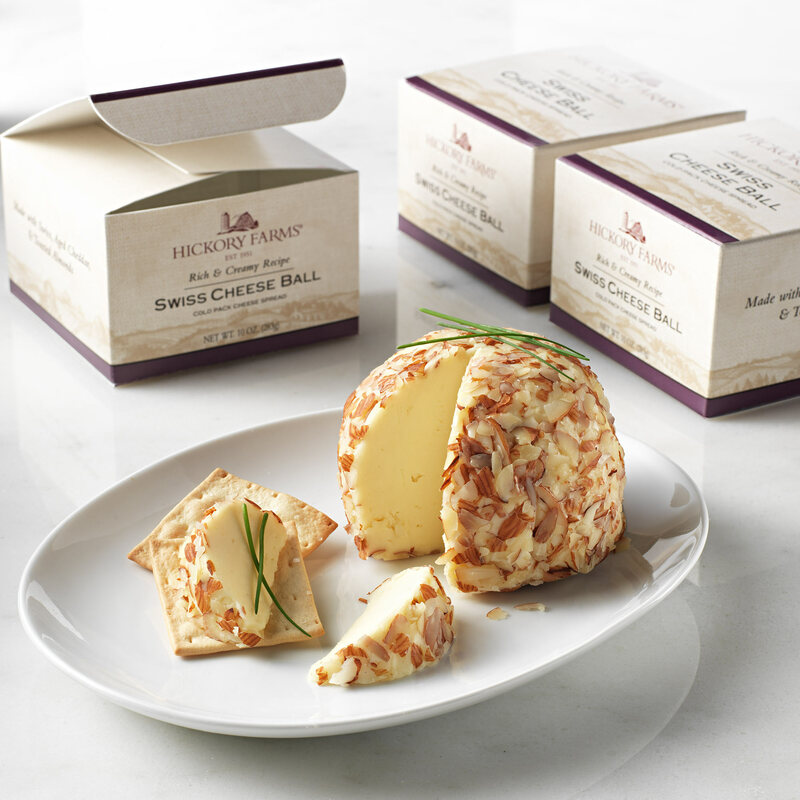 Nothing complements a party like a great cheese ball for the snack table, and our new Swiss Cheese Ball is sure to be a hit. Creamy, smooth Swiss is coated with savory nuts to deliver big flavor in every bite. Put this cheese ball front and center with some crackers for holiday parties, game day gatherings, or office potlucks, and watch it disappear! To ensure that your item arrives in perfect condition, we will ship your gift Monday - Thursday for delivery within the same week. Saturday - Monday delivery is not available for this item. Not available to ship to P.O. Boxes, PR, GU, VI, Canada, or Military. Perishable Items can only ship to AK & HI 2-Day Delivery or Overnight. Cannot ship to correctional facilities. Fruit items may ship separately from non-fruit items.